Portable Couch Affinity A truly portable table at just 14.5kgs. With its rapid set up, one touch height control, the couch has been designed to be used and taken to the next appointment with the minimum of strain and difficulty for the therapist. 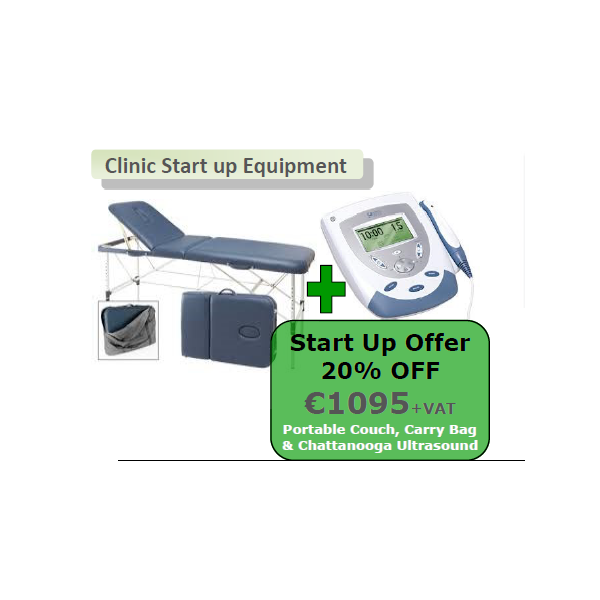 The Intelect Mobile Ultrasound provides an innovative case with logical control and graphical LCD display. The optional battery or mains powered system provides 1 and 3 Mhz frequency in continuous (100%) operation or in pulsed formats of 10%, 20% and 50%.